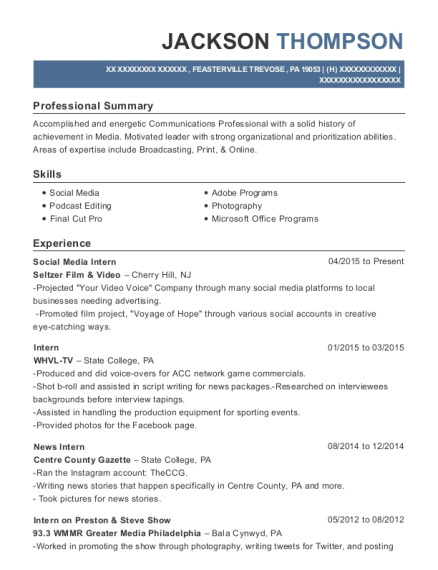 Accomplished and highly trained communicator with a solid background in successful human interactions. Motivated leader with strong communication and time management skills. Experience working in unpredictable environments. Reliable and dedicated to making a company and/or organization more efficient. Assist reporters in selecting program content, in conjunction with producers and assistants, based on factors such as program specialties, audience tastes, or requests from the public. Interview show guests about their lives, their work, or topics of current interest including man-on-the-street interviews. Planned and organized makeup parties to showcase the brand's products. Educated the client on product uses and demonstrate how to use the products. Kept an upbeat attitude while working with clientele. Suggested products to clients that helped the company with sales. Encouraged clients to try new products. Practiced hygiene when working with brushes and cosmetic products. Made the customer feel special during the makeup consultation. 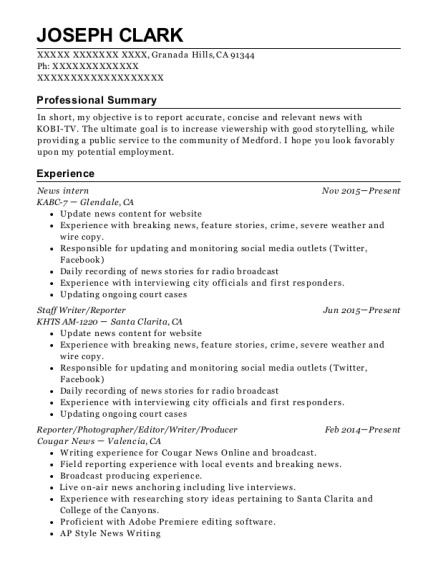 This is a resume for a News Intern in West Point, Mississippi with experience working for such companies as WCBI News and The Reflector. 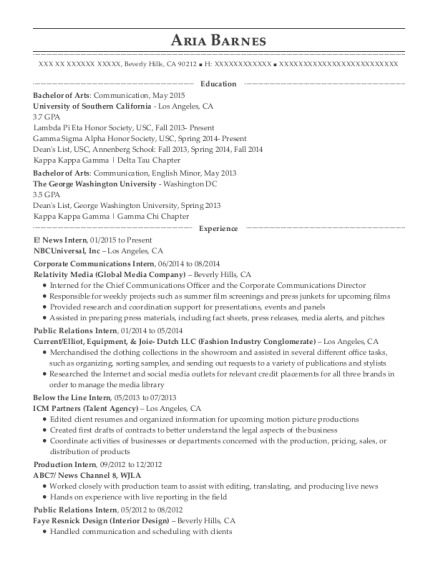 The grade for this resume is 0 and is one of hundreds of News Intern resumes available on our site for free. 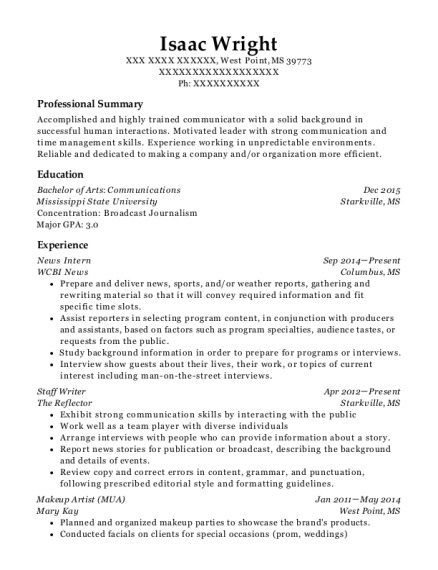 Use these resumes as templates to get help creating the best News Intern resume.